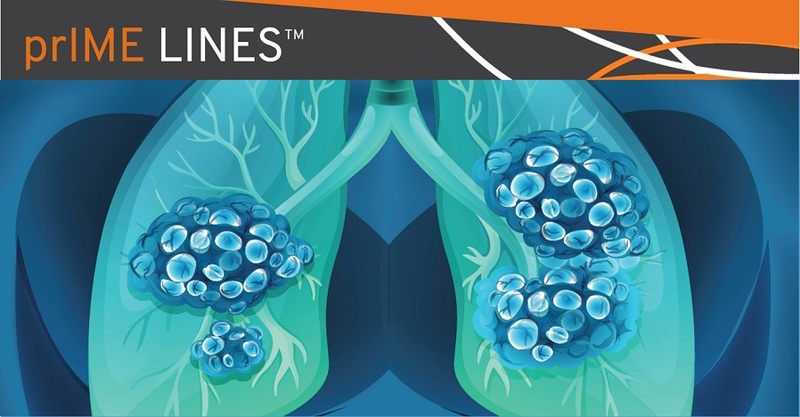 Patients with metastatic non-small cell lung cancer (NSCLC) with molecular alterations in the ALK gene are sensitive to treatment with ALK-targeted tyrosine kinase inhibitors (TKIs). For many years, the ALK inhibitor crizotinib was the standard of care in this setting, though it has recently been replaced by the second-generation ALK inhibitor alectinib, on the basis of the phase III ALEX trial, which demonstrated the substantial benefit of alectinib over crizotinib. Brigatinib is a next-generation ALK/ROS1 inhibitor that has demonstrated activity against numerous ALK resistance mutations as well as several EGFR mutations. Unlike crizotinib, brigatinib is able to penetrate the blood-brain barrier and has demonstrated high activity against central nervous system (CNS) metastases in patients with refractory to crizotinib. During the Presidential Symposium at the 19th World Conference on Lung Cancer (WCLC), D Ross Camidge, MD (University of Colorado, Denver, Colorado, United States), presented initial results from the phase III ALTA-1L trial (N = 275), which compared brigatinib 180 mg daily (with 7-day lead-in at 90 mg) to crizotinib 250 mg twice daily in ALK-inhibitor naïve patients with ALK-altered metastatic NSCLC. These results were simultaneously published in The New England Journal of Medicine. At median follow up of 11 months, the median progression-free survival (PFS) was significantly higher in patients receiving first-line brigatinib compared to those receiving crizotinib (not reached vs 9.8 months; HR 0.49, P = .0007). The 1-year PFS was 67% in patients receiving brigatinib and 43% in patients receiving crizotinib. There was a clear benefit for brigatinib, regardless of prior chemotherapy exposure and across all prespecified patient subgroups, including patients with brain metastases. The confirmed objective response rate (ORR) was 71% with brigatinib treatment, compared to 60% with crizotinib (OR 1.59, P = .0678). In patients with measurable brain metastases at baseline, the confirmed ORR was 78% with brigatinib and 29% with crizotinib (P = .0028), while in patients with any brain metastases at baseline, the intracranial ORRs were 67% and 17% (P<.0001), respectively. One-year intracranial PFS in these patients was 67% in patients receiving brigatinib and 21% in patients receiving crizotinib (HR 0.27, P< .0001). No new safety concerns were observed. Rate of grade 3 or higher adverse events (AEs) of brigatinib was comparable to crizotinib (61% vs 55%). Interstitial lung disease (ILD)/pneumonitis occurred more frequently in patients treated with brigatinib (4% vs 2%). Dose reductions occurred in 29% of patients treated with brigatinib, primarily due to laboratory abnormalities. In her discussion, Fiona Blackhall, MD, PhD (The Christie NHS Foundation Trust, Manchester, United Kingdom), indicated that brigatinib represents a new first-line treatment option for patients with NSCLC with ALK aberrations. Results from the ALTA-1L trial compare favorably to results from the ALEX trial, though longer follow-up is required. Moving forward, clinical trials investigating novel ALK inhibitors will need to reevaluate crizotinib as the control arm, given that crizotinib is no longer the optimal treatment option in this setting. However, in the absence of direct comparison of next generation ALK inhibitors the ‘’best’’ ALK inhibitor remains unknown. N Engl J Med. 2018 Sept 25. [Epub ahead of print].